The SEARCH Club meets after school and brief before-school meetings each week. The purpose of the club is to explore environmental issues, learn, and have fun! 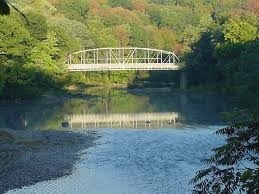 1) Long-term Farmington River study. We bi-annually visit 5 different sites on the Farmington River from Canton to Collinsville and collect data on water quality. Some of the key points of data collection include temperature, dissolved oxygen & carbon dioxide, nitrates, iron, pH, flow rate, etc. This important work helps us understand our local watershed and the health of our river system. 3) Work to encourage the staff/students/and community to be thoughtful about their impacts on the environment.... Earth Day is every day!